It is entirely possible to apply for probate and deal with an estate, without seeing a lawyer, but it’s not without risks warns legal group, Solicitors for the Elderly (SFE). Many professionally drafted wills contain trusts to save tax, to avoid those who inherit paying care fees and to reduce the likelihood of potential disputes. SFE members have noticed an increase in ‘DIYers’ returning to them to seek advice when they have made a mistake or find the paperwork too tricky. Mrs A’s will had included a tax saving trust, but when her husband administered the estate, he paid the whole estate to himself. The solicitor was thankfully able to sort out the matter and avoid future complications occurring when Mr A eventually dies. In Mr G’s case, he sold some shares that had made a gain during the administration of his late sister’s estate and had to pay tax. If he had transferred the shares to himself first, before selling them, he could have avoided the tax. Many SFE members’ practices will offer to work in partnership with the deceased’s family to help and support them with the legal and technical work. As elder law specialists, members can even add value to their work, for example by identifying cases where money is owed to the estate for care funding, which should have been met by the NHS and assist in making a claim. The RSPCA has challenged a ruling which overturned a will in which it was left a £2m farm estate in North Yorkshire. 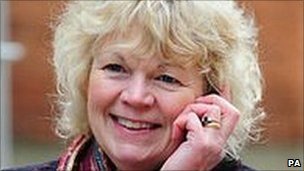 Christine Gill, 59, of Northallerton, won a High Court battle last year to overturn the will, which left her parents’ farm to the charity. Judge James Allen QC found that Dr Gill’s “domineering” father had coerced her mother into making the will. On Monday, the RSPCA appealed against the findings at the Court of Appeal in London. The case was heard by the Master of the Rolls, Lord Neuberger, sitting with Lord Justice Lloyd and Lord Justice Jackson. Elspeth Talbot Rice QC, for the RSPCA, told the court that one of the issues for decision was whether the judge was “wrong to find that Mr Gill unduly influenced Mrs Gill into executing her will”. Father ‘a bully’ Dr Gill, who is represented by counsel, is contesting the appeal. Judge Allen said it would be “unconscionable” if Dr Gill did not inherit Potto Carr Farm, near Northallerton, where she voluntarily helped out during her spare time over a period of more than 30 years. Mr Gill died in 1999, aged 82. It was only when her mother died in 2006, also aged 82, that Dr Gill saw the will, in which her parents had left the farm to each other and then to the RSPCA when both died. The judge found that Dr Gill’s mother had wanted her daughter to inherit the farm but Mr Gill – who he described as a “bully” – had exerted pressure over his wife to favour the RSPCA. Monday’s appeal is being closely watched by 10 other leading charities who released a joint statement saying they were “very concerned at its possible implications for the charity sector”. Law ‘is clear’ The RSPCA said: “The RSPCA feels strongly that Mrs Gill’s testamentary wishes were clear and the judgment in favour of Dr Gill fails to recognise that. “It also undermines the very essence of testamentary freedom that this country enjoys. “The Gills had already provided substantially for their daughter during their lifetime, which included a large contribution towards the purchase of the farmhouse in which she now lives. The hearing was adjourned until Tuesday, when the judges are expected to reserve judgment. This case shows clearly the risks involved in not leaving a Will which is a clear statement of your own intentions. Although the RSPCA alleges that they are obliged to pursue the legacy, the question arises whether the main beneficiary in all this litigation is perhaps the charity’s own lawyers. Leaving a Will which clearly states your own intentions will help to avoid unnecessary distress, pain and litigation of those who you leave behind. For further information, please contact our Yeadon office on 0113 250 7792. The Financial Times Adviser reports that The Will Writing Company is refuting claims made by Panorama’s broadcast last night (Monday 9 August) which exposed the lack of regulation of the willwriters industry. The Will Writing Company has hit back at the BBC Panorama programme that widely criticised unlicensed will-writers and a number of will-writing firms for unfair and unethical practices. Not all will-writing companies were like those that were exposed on the programme claimed the Will Writing Company. The documentary focused on three firms and highlighted the lack of standards that many will-writing companies subscribe to. The Will Writing Company said it welcomed the program and as a founding member of the Institute of Professional Will Writers (IPW) since 1990 it recognised early on that proper training and ethical procedures would have to be an essential part of the industry. It said the Panorama programme took the view that people should only go to a solicitor for will planning and should avoid professional will writers. The Will Writing Company said solicitors actually need no personal development or qualifications in this area after university. A member of the IPW has to demonstrate continuing professional development much the same as a financial adviser to retain their professional status. Panorama refused to accept comment from IPW. Tom Gormanly, managing director at The Will Writing Company, said: “Of course every industry will have people within it that will attract criticism, some wholly justified as in last night’s programme. Mr Gormanly said his message to financial advisers was clear, not all will writers were the same and if you choose to use the service of one of them, just make sure they are a member of the IPW. Here at Morrish Solicitors our Wills, Probate and Elderly Client department consists entirely of qualified solicitors who have specialist training in this particular area of law. They each undergo set units of Continuing Professional Development (CPD) Training every year and are active members of Solicitors For The Elderly, Help The Aged and the Society of Trust and Estate Practitioners in the region. Solicitors are highly regulated for many reasons, including that the bonds of trust existing between a solicitor and client must, by their nature, be above suspicion. The Solicitors Regulation Authority ensures that solicitors meet those high standards of trust and, where they fail, are subject to strict and just retribution. The public, and particularly the elderly, the dying and – yes – the dead, deserve to know their trust is well placed. BBC’s Panorama: Wills – The Final Ripoff? In case you missed Monday night’s broadcast, here’s the link to watch the show on BBC’s website. Panorama investigates companies who make a good living from writing your Last Will and Testament, and exposes the shocking financial pitfalls that face unwary consumers. Is it time for this industry to be properly regulated by law? From The Law Society Gazette. Two-thirds of trust and estate practitioners have encountered ‘incompetence or dishonesty’ in the will-writing market in the past year, according to research published today. The study has prompted the Society of Trust and Estate Practitioners (STEP), which conducted the survey, to renew its calls for better consumer protection. Responses from 693 STEP members showed that two-thirds had come across hidden fees which were not outlined in the stated price of a will, and 63% had experienced a will-writing company going out of business and disappearing with their clients’ wills. Just over a third of respondents said they had seen cases where incompetence had led to significantly higher tax bills. Examples of malpractice highlighted by the research included one company that approached young mothers in shopping malls and told them that their children would be taken into care if they died without a will. In another case, a consumer was charged £12,000 up front for executor services, and the firm then went out of business, with the family unable to recoup the money. STEP chief executive David Harvey said: ‘This research shows how widespread cowboy will-writers have become, and it is clear those who charge a fee for writing a will should now be regulated. The Legal Services Board launched a review of unregulated will-writing in June, and is seeking evidence of consumer harm. The Scottish parliament is currently going through the process of regulating non-lawyer will-writers through the Legal Services (Scotland) Bill. STEP recently launched the STEP Certificate in Will Preparation. 9 August 2010, by Rachel Rothwell.